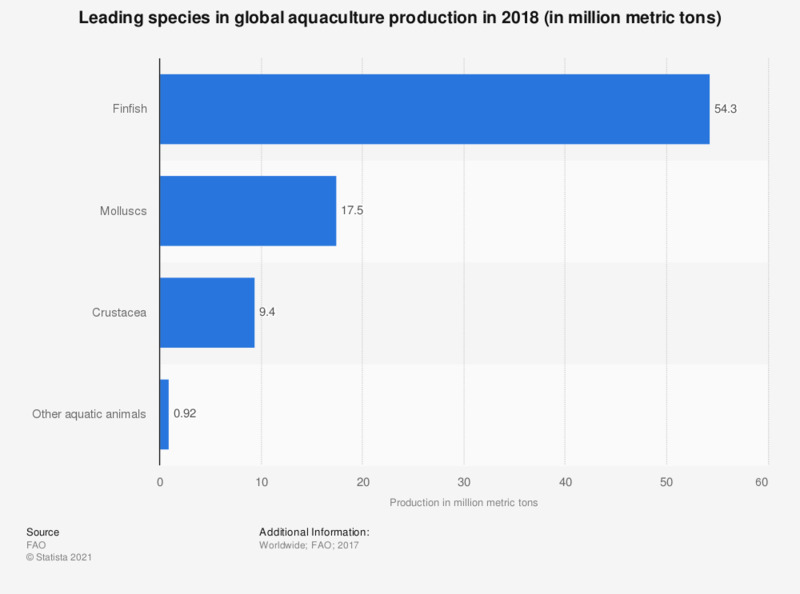 This statistic shows the leading species for aquaculture production worldwide in 2016. In that year, with over 54.1 million metric tons, finfish was the world's most produced species in aquaculture. In that year, Asia was the leading producer of aquaculture in the world, with the production volume amounting to 71.55 million tons.